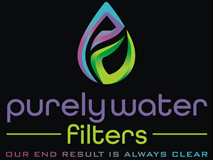 At Purely Water Filters, LLC, we are committed to helping our clients get the most from their water filtration and purification systems. Since 1984, our company has helped homeowners make smart, sensible, and safe updates to their plumbing systems. Thanks to our knowledge, experience, and a robust catalog of water treatment products, we have earned a reputation as a leading provider of ultraviolet water system replacement components in Frederick, MD. Our water filtration, purification, and disinfection systems are trusted by technicians and contractors throughout the industry. The PROS PICK collection from our catalog features some of the most effective and reliable solutions. Along with our personalized product consultation services, we have empowered homeowners to maintain clean and safe systems. Residential water filtration systems are a smart investment. Their effectiveness and longevity depend on proper installation and maintenance. By purchasing from us, you can have confidence in knowing you have chosen products which will serve you well. On top of that, we are here to provide support that you can count on. To that end, we have provided a wealth of tutorials, reference charts, and maintenance tips that you may access at any time. Click through the tutorials below on how to keep your water filtration system running at peak performance. We have many ultraviolet water system replacement components for your water system. As a leading supplier of water filtration components, we are committed to helping you attain a clean, safe, and efficient plumbing system. Naturally, quality components should be backed by client-oriented service and support. If you have any questions about installation or maintenance for your product, let us know. We will connect you with one of our filtration system specialists and assist you. In addition, we can arrange water testing. This service can help you find the right products that will meet your needs. Contact us to arrange a consultation for water system replacement components. We are based in Frederick, MD.